I was sitting on my deck this morning looking at all the signs of spring.How beautiful and peaceful it is!We should give thanks everyday for all the blessings we have.I want to share something said at church that really made me think. BE CONTENT IN YOUR STRUGGLES.YOU NEVER KNOW HOW GOD MAY USE YOU. Many times ,I have complained about my trials and struggles in life. In the midst of my problems, God wants me to worship him.We should live to please God,not ourselves or others.God does not want to fix our problems-he wants to fix us.He wants to make us more like him. 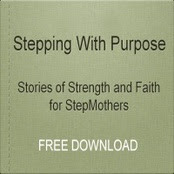 I pray for God to use me in my struggles to be the wife,mom and stepmom that he wants me to be.Continuing The Journey!